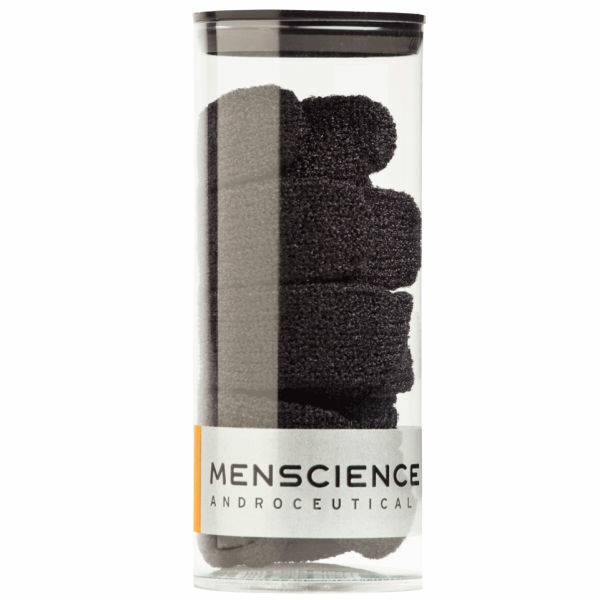 Use these exfoliating gloves to smooth and renew your whole body. The process will leave your skin extra clean, soft and healthy-looking in an instant. Sloughs off impurities and dead cells. Helps to remove in-growing hairs, blemishes and spots. Wakes you up in the morning or revives you after a workout. Helps accelerate growth of new cells, making skin look fresh and buffed. GOOD PRODUCT HIGHLY RECOMMENDED ONLY GIVEN 4 STARS BECAUSE I FOUND A HOLE IN MY ONE BUT OTHERWISE IT IS REALLY GOOD AND GETS RID OF DIRT, HELP CLEAR ACNE! These gloves are truly amazing, feel like a new person after every shower! Not only do they help get rid of small blemishes on your skin but also works wonders with soap to get a great lather going. Highly recommended. This Buff Body Gloves works wonders - it really deeply cleans your skin. I highly recommended this product! These Buff Body Gloves are amazing. I wish I had got them sooner. My skin is softer, spots are being reduced, and they do give you an all over clean that is noticeable. This is well worth the money. These Buff Body Gloves are relatively expensive, but they're well made and worth it. I sent for these as knew my sons would appreciate black exfoliating gloves over pink or baby blue. I think they are a good choice. I have been using these gloves for a few years now and can say these are the best. I did try a cheaper pair from asda as an extra pair, but they were useless. Remember you only get what you pay for! Splurge cos it's well worth it if you want a really clean feel after the shower & your partner will love the feel of your skin too!!!! Excellent product, well worth paying the extra for this over cheap alternatives. Makes skin feel fresh and revitalised after using!! Buff Body Gloves makes every body wash last so much longer as you only need to apply a little and the gloves will do the rest for a good lather. I use them once a week to keep dry skin at bay. Excellent product and they're very strong and hard wearing. While I haven't used other brands of this Buff Body Glove, I can say it works a treat! It makes shower gel really lather up and get into your skin. These are great items! At first they do seem expensive but you cant find better "value for money" as it delivers exceptional results. Would I buy them again? YES! To the guy who asks why they are £15 when you can buy ones for £1: its called quality pal! You get what you pay for with these and it makes your shower gel and scrub last twice as long. You don't need to use as much because they lather up a lot more when used with these gloves! Yeah, they're expensive but they are by far the best product of this type I've used. Quite aggressive but not at all irritating. Skin feels great! These gloves don't feel harsh but they smoothed my skin really quickly and easily, plus they made my body wash foam much more. Well worth the money. I've tried a few scrubbing gloves and these come out tops- very effective. Not bought this product, but what makes it worth the £15? You can get scrubbing gloves for just a quid. I didn't like the feel of these to begin with and thought they wouldn't fit my hands (but they did). After using, I was impressed - they work faster and better than a scrubbing brush and aren't too abrasive either. Took some getting used to, but they work great with the body wash. Last a lot longer than cheaper versions or sponges too. Bought these on impulse. Feels fantastic being able to use both hands to scrub oneself down. As stated elsewhere, lathers very nicely. Be warned, they are quite rough, but that is exactly what I enjoy so much about them.